linkedin/gpapadopoulos7Former Trump aide George Papadopoulos. A former aide to President Donald Trump’s campaign deactivated his Facebook account and got a new cell phone number after interviews with the FBI. 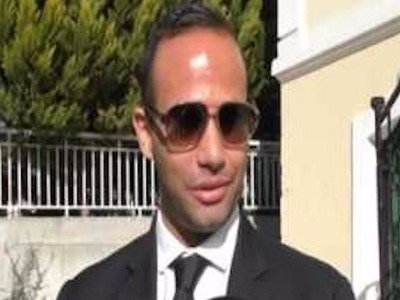 George Papadopoulos, the former adviser, was trying to obscure communications he had with Russian-connected individuals. Papadopoulos pleaded guilty earlier this month for lying to FBI agents about his contact with Russians. One day after FBI investigators interviewed George Papadopoulos, a former foreign-policy adviser and aide to President Donald Trump’s campaign team, he deactivated his Facebook account, which contained evidence of meetings with Russians. Six days later, Papadopoulos got a new cell phone number, according to documents related to special counsel Robert Mueller’s investigation into Russian interference in the 2016 election. After a second interview with FBI officials on February 16, Papadopoulos scrambled to delete his Facebook account to obscure communications he had with an “overseas professor” with ties to high-level Russian officials. The details of Papadopoulos’ guilty plea were unveiled on Monday along with indictments against former Trump campaign manager, Paul Manafort, and his deputy associate, Rick Gates. LinkedInThe FBI interviewed Papadopoulos twice about his ties to Russians. During the FBI interrogations, Papadopoulos described the professor as “a nothing,” even though it was later revealed he knew the professor had significant ties to the Kremlin. After Papadopoulos deleted his Facebook account, he created a new one that did not contain communications with the professor. Shortly thereafter, he began using a new cell phone number. On July 27, Papadopoulos was arrested upon arriving at Dulles International Airport in Washington, DC. He has since complied with Mueller’s probe and met with government investigators on numerous occassions to answer questions.